The baptized in Malaysia are committed to promoting interreligious harmony in a multi-ethnic and multi-religious country. As Fides News Agency reported January 5, 2019, various activities were organized at Christmas to promote and strengthen religious harmony and this work will continue in 2019. The representatives of the “Perkasa” human rights group, together with the youth wing of the PAS Islamist party, were among the various Malay-Muslim groups present at a Christmas celebration organized during the Christmas season by the “Christians for Peace and Harmony in Malaysia Movement, CPHM”. The event also included groups such as Angkatan Belia Islam Malaysia (Abim), the Selangor Islamic Religious Council, the Malaysian Missionary Buddhist Society, the Malaysian Buddhist Association of Malaysia and the Bahai Malay Community, along with other Christian leaders. In a statement sent to Fides, the CPHM Movement explained that the event had the theme “Sowing the seeds of friendship” and intended to unite, in a climate of sharing and friendship, communities of different faiths living in the country. “The Movement seeks to be the catalyst to motivate and all citizens to better promote peace and harmony among people by emphasizing love and forgiveness and by focusing on building bridges towards other communities. We try to promote a better understanding towards others, generating goodwill and building trust through positive interaction”, explained the president of CPMM, Lee Min Choon. The president says he is “happy that there were so many people of different faiths”: “I am proud to see all of you here, united for something you also believe in: for peace and for the good of the country”, he told those who were present. 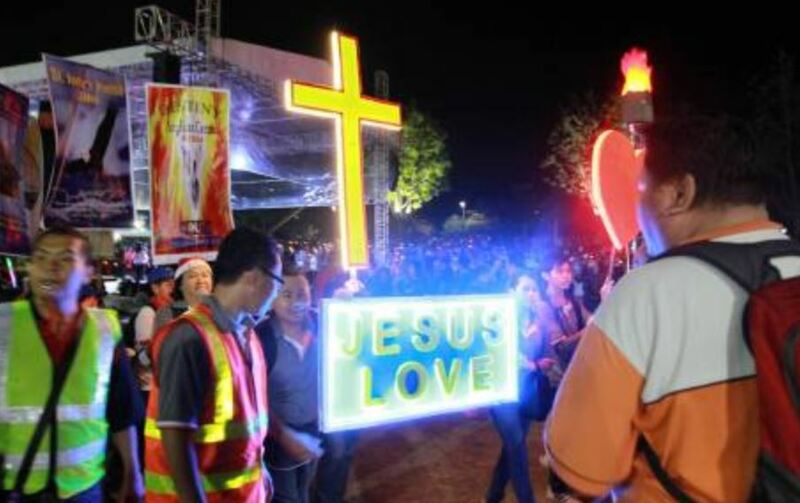 In another event, on December 22, about 40,000 people took part in the Christmas Parade in Miri, in the Malaysian state of Sarawak, where political leaders of different formations shared the same stage with the leaders of 15 Christian churches. Chinese, Malaysian, Dayak, Orang Ulu, Indians, and local community leaders were present, alongside students, families and foreign visitors. Everyone walked the streets singing Christmas carols, playing musical instruments, pushing colorful carts. During the festive evening, 31 thousand US dollars were also collected to donate to the 15 churches of Miri in order to carry out solidarity activities. Local government minister Datuk Sim Kui Hian said: “We must protect freedom of faith with zeal against religious fanaticism and moral erosion. Our state and federal government intend to protect religious freedom”. This Christmas procession is an excellent example not only for Christians but also for all members of our society”, he remarked, praising interreligious activities. The government of Sarawak supports the “Unit for Other Religions” (Unifor), an interreligious platform in which the faithful collect funds to build their respective buildings of worship or finance joint activities. “It is a network through which Muslims and members of other religions can come together to promote a better understanding of other faiths to create such important tolerance, unity, and harmony in a plural society like ours”, stresses Datuk Sim Kui Hian. Rev. Nicholas Tan Chung Kiat, Pastor of the Methodist Church, organizer of the event, hopes that “the Christmas Parade can continue to be a platform for everyone to be united, regardless of denomination, confession, ethnicity or status in society”.